Submit an application identifying the student's outstanding work in support of the environment. During their stay in California, the recipients will participate in a camping trip, leadership activities, speaking and media engagements, and trainings and environmental conferences giving them a chance to meet with mentors and peers. We invest in their continued success by providing ongoing access to resources, mentors, and opportunities to develop leadership skills. The week of activities culminates in the awards ceremony in front of more than 900 guests in San Francisco on October 17, 2017. We review all applications and an external panel of judges vets all semi–finalists. If you are selected as a semi–finalist, we will request a Skype Video Call with you. Finalists will be notified by mid-July. All Brower Youth Award applicants will be notified about their status by August 1, 2017. Outstanding Youth Leadership You played the major leadership role in creating, organizing and implementing your project or campaign(s). Issue & Approach Your project is applying fresh solutions and approach to relevant environmental challenges. Project Impact, Scalability, & Replicability Is the project’s impact significant? Can your work be used as a model for other communities or campuses? Charisma, Personal Commitment & Trajectory What draws you to this work? 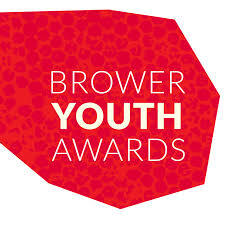 What would winning the Brower Youth Award mean to you?